What is Aviation Safety Data? Case 4: Identifying Accidents in Canada, Australia, New Zealand, and the U.K. Governmental Organizations Outside of the U.S. Using a combination of case studies and detailed step-by-step instructions, this book provides the aviation professional and others interested in the analysis of aviation safety data with specific insights into how to systematically find, classify, and evaluate aviation data in order to ask and answer specific questions about airline safety and security. 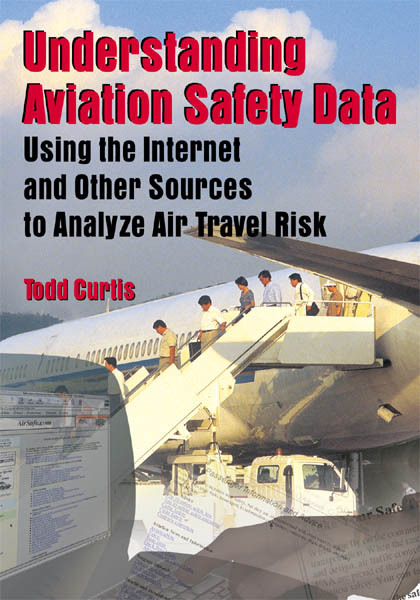 Written by AirSafe.com creator Dr. Todd Curtis, this one book contains lessons learned from over a decade of work analyzing issues as diverse as the crashes of TWA Flight 800 and ValuJet, and the trends in major media coverage of airline disasters. More than just an aviation safety book, this book provides the serious researcher with detailed information on how to use the resources of the Internet to conduct aviation safety research.